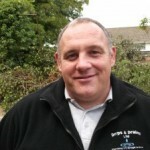 Crawley Plumber near me Chris 0791 7852384 . We are both well experienced plumbers in Crawley and we have all the right tools to assist our years of knowledge and experience and also can provide a emergency plumber / plumbers service 24 hour 24/7. We have been carrying out plumbing work in Crawley for over 28 years , we are a two man plumbing company and we also unblock drains in Crawley for fixed prices. We are also emergency plumbers in Crawley and we can provide you with a 24 hour 24/7 emergency plumbers in Crawley. As a two man operation we do provide our services on weekends so please don’t worry about calling us, we are waiting for your calls and are happy to speak to you. When it comes to plumbers in Crawley we have over 60 years experience and knowledge between us and we are very proud of the service we provide..
We can carry out some of the below services and more. Toilet repairs and installations / bathroom installations/ macerator and saniflo repairs/ central heating repairs and installations/ water mains renewal and repairs/main water tanks renewal and repairs/ hot water cylinders repairs and renewal/ blocked drains unblocked/ drain cctv survey inspection/ drain repairs and renewals/ shower repairs and installers/ power showers/electric showers / emergency plumbers Crawley 24 hour 24/7. As Crawley plumbers what we like to do is give our customers fixed prices so everyone knows were they stand before we even start work on your plumbing works. Upon being Crawley plumbers all the years we have we also been carrying out a full drainage service clearing blocked drains / drain clearance at fixed prices and providing drain cctv camera inspections, upon finding any faults we can provide you with the best course of action to take. When it comes to our services we provide to our customers as Crawley plumbers we take great pride in the service we provide as we can offer our customers the full package, which is over 60 years combined knowledge and experience which is backed up with all the right tools for every job to be done right. When it comes to giving plumbing estimates for lots of different plumbing works from bathroom suites to water mains renewals, we have been told by lots of customers that they could tell we were well experienced by the way we talked compared to others that had visited and had made there mind up that they wanted us to carry out their job before we had even left their property, as which makes us very proud Crawley plumbers. Hi, My name Is Roger Presley, i’m a gas Safe Plumber. i’m licensed and certified. I have Over 30 years experience in this field. I carry out all home Gas and Plumbing work , ie , Boiler installation, central heating installation,gas fire installation, cooker/gas hob installation, all gas and lpg installation, and all plumbing installation. In addition, i carry out diagnostics, fault finding, Emergency 24 hr call out. I have also appeared on channel 5’s cowboy builders and botched jobs giving expert advise. I’ve been an engineer all my life, and understand mechanics very well. On the boiler side, I install the most reputable of all boilers, Vaillant with up to 10 years parts and labour warranty. All boilers are fitted to manufactures instructions, gas safe certified.And above all these boilers will give you more than 20 years service, provided annual service is kept up. We can clear your blocked toilet in Crawley quickly as well as being Crawley plumbers we are also drainage engineers with all the drain clearance tools from everything from drain rods to a high pressure water jetting unit mounted in our van and more tools for unblocking toilets and drains. We offer the full package regarding all plumbing problems in your home from water mains renewal’s and repairs to a blocked toilet’s or blocked drains. We are experts in all the plumbing works we carry out and only use all the correct joining methods on all materials we use as plumbers in Crawley, we would like to think you search for a good Crawley plumber / plumbers is over. We can clear blocked sinks in Crawley quickly , we have the experience and all the right tools for the job from high pressure water jetting and a electric sani snake which is a drill with a drum attached which houses a wire cable which can be fed through the waste pipes and around bends to clear your blocked sink and clean the pipes while turning. We offer an emergency plumber Crawley service 24 hour 24/7 in Crawley. Thank you for reading our details, if you wold like to ask us any other question about our services please give us a call direct to our mobiles.